The fast advance on Material Science in the last decades is opening great opportunities to develop and/or improve Electrical Power System Components (e.g. transformers, insulators, breakers, cables, etc) with optimum performance. Thus, it is today possible to design novel materials with radically improved properties, which could be used to develop power devices with superior characteristics (e.g. smaller, reliable, efficient, environmentally friendly, cheaper). Unfortunately, there is a gap in knowledge in several areas, which hinder the effective design and implementation of new “tailor-made” materials in real products. To provide fundamental scientific understanding of physical processes hindering the development of improved power system components. 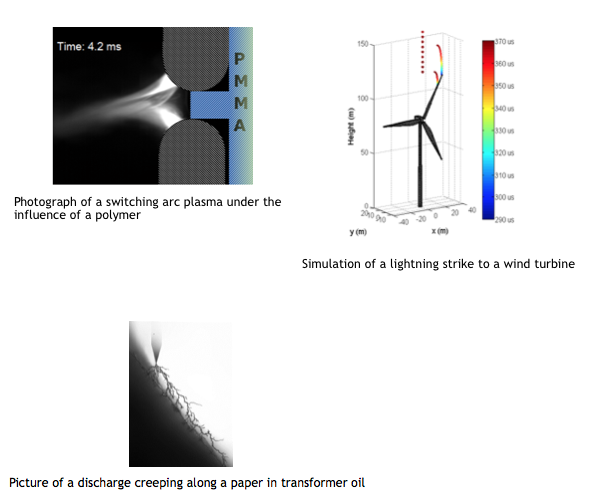 This research area is intended to study specific physical phenomena at the interface between Material Science and Engineering, whose understanding is critical for further improvements of Electric Power Components by using new materials. The project involves cross-disciplinary collaborations among scientists in material science, chemistry, engineering and physics in both academy and industry. Our research involved both experimental and theoretical research work involving different techniques in areas such as material characterization, physics, electrical engineering and computation.